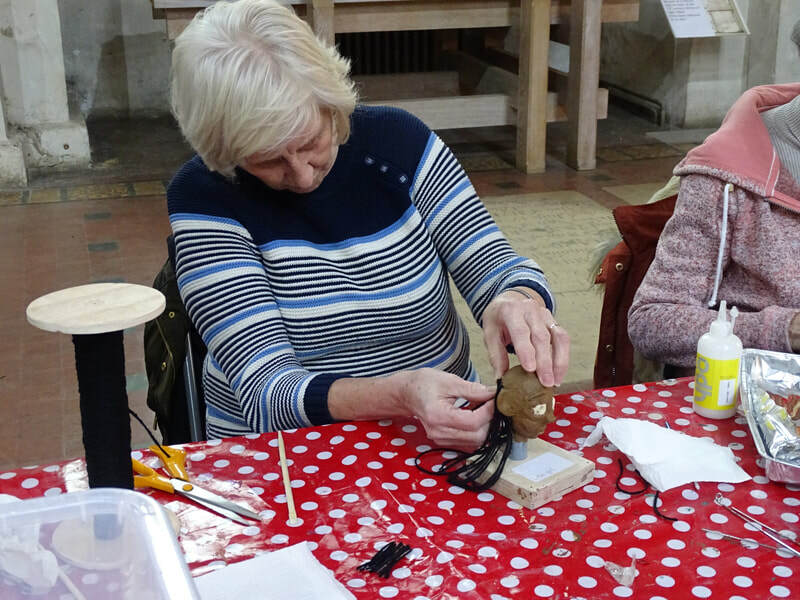 We had another lovely morning at St Albans Abbey this morning working with our group of volunteers who have been making puppets and sets in weekly sessions since January. 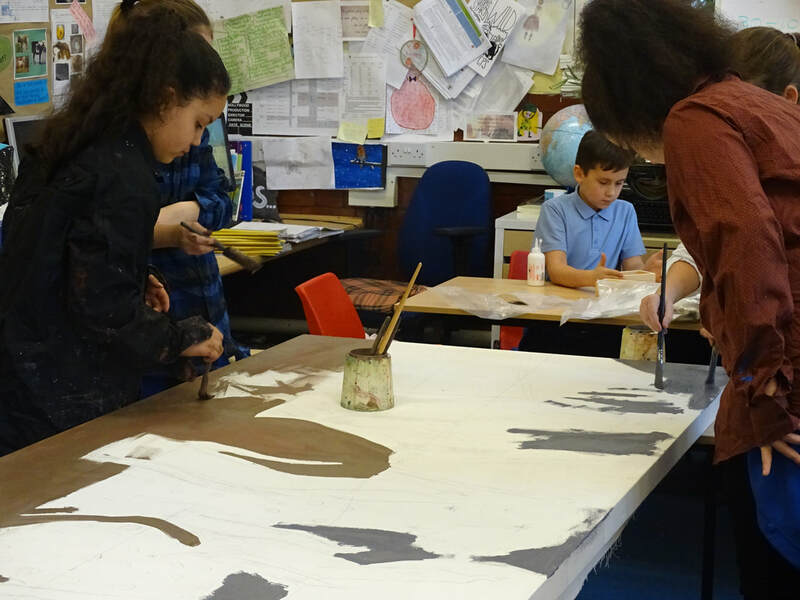 They've made a lot of progress recently, with some people making up to four puppets each, and others working hard on the backdrops. We also started props for the shows today. 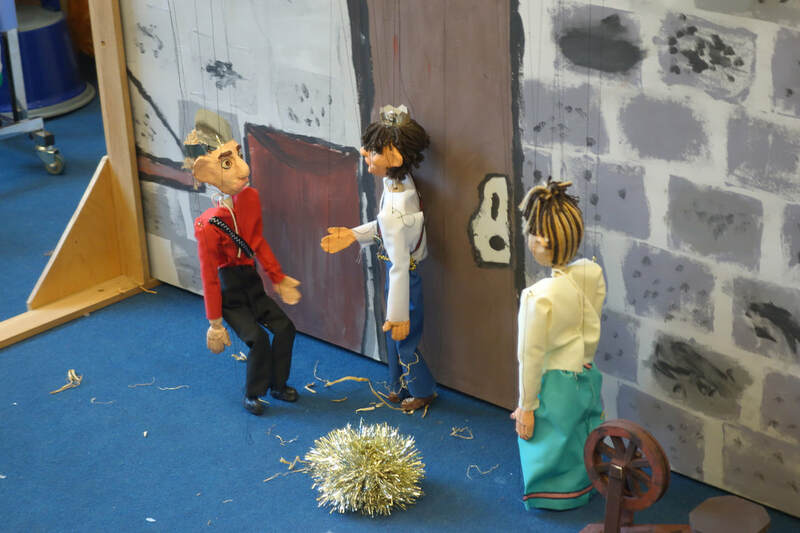 We are delighted to be introducing two new shows to our library this year, both written by Rebekah King - The Crossing Place, about the life of St Alban, and A Grim Day Out about Lord Grimthorpe, who was influential in the development of the Abbey in the nineteenth century. 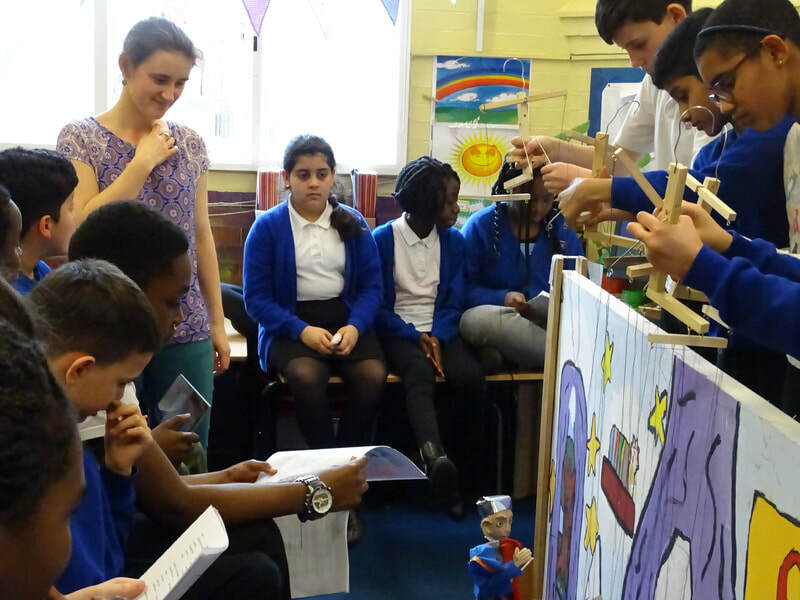 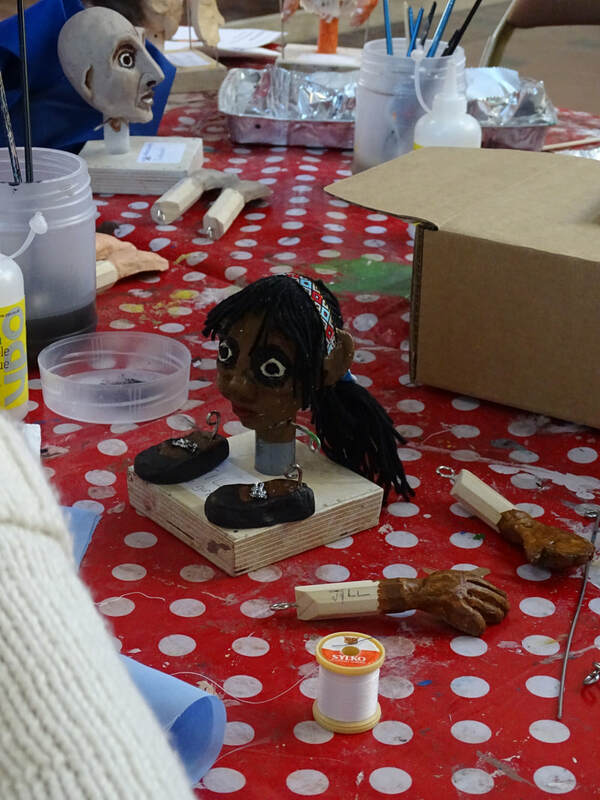 The two productions will use the puppets and sets made by the volunteers, and will be performed by Year Six children at Alban City School, who will be stringing the puppets later this month, and beginning rehearsals next month. 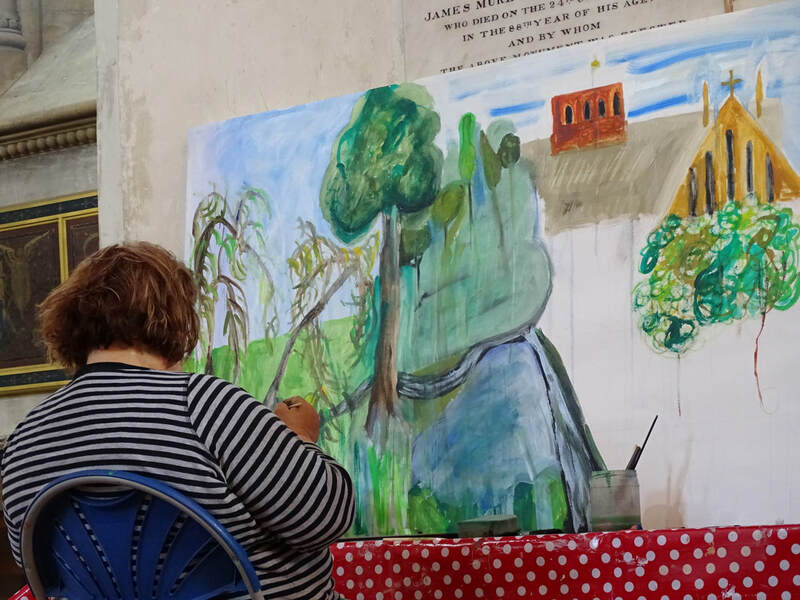 The shows will be performed to the public at the Abbey on Monday 24th June - tickets will be on sale on the Abbey website soon! 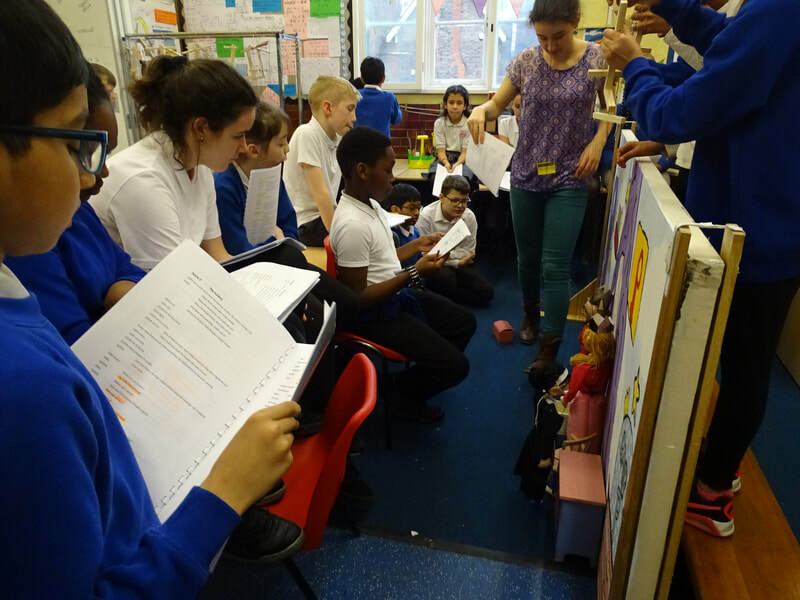 With the Easter holidays starting tomorrow, we've finished rehearsals for this term at Central Primary. 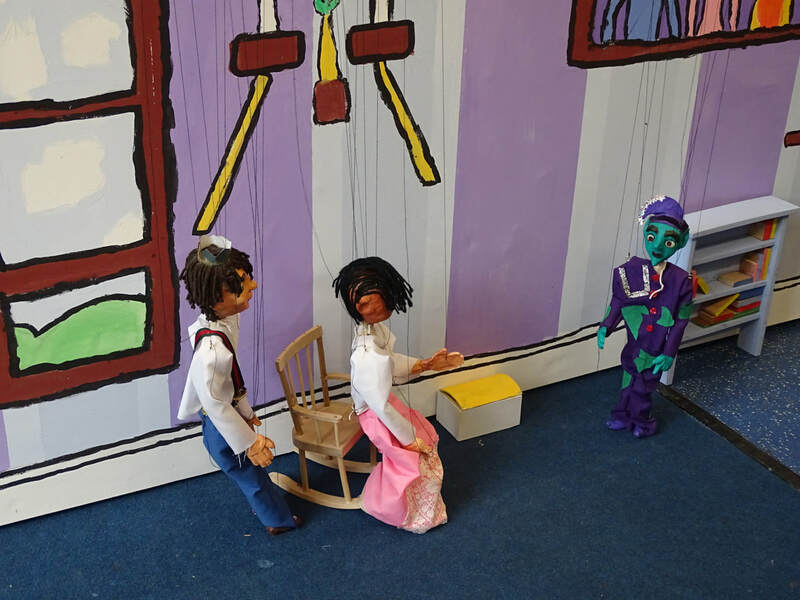 The puppets, props and sets are all ready to go and we've blocked out each scene - looking forward to bringing the two shows together after the holidays! 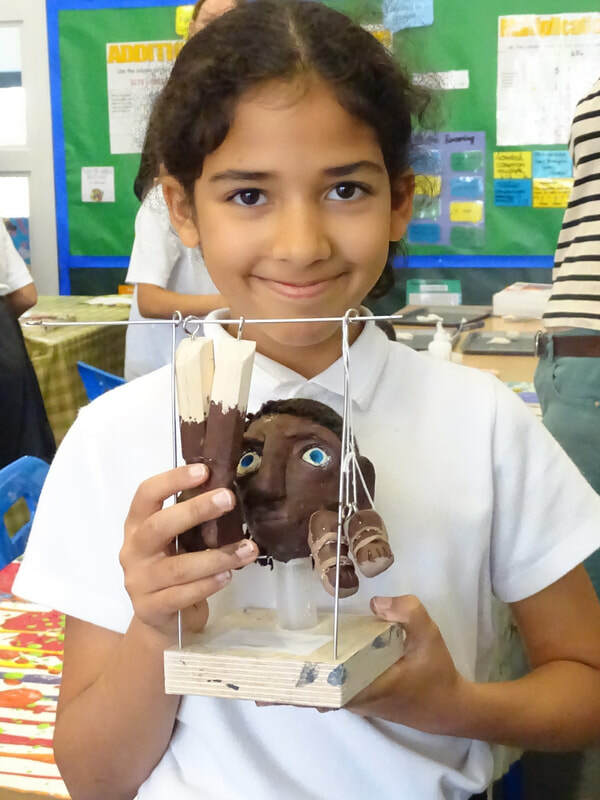 In the meantime, we hope you all have a lovely restful break. 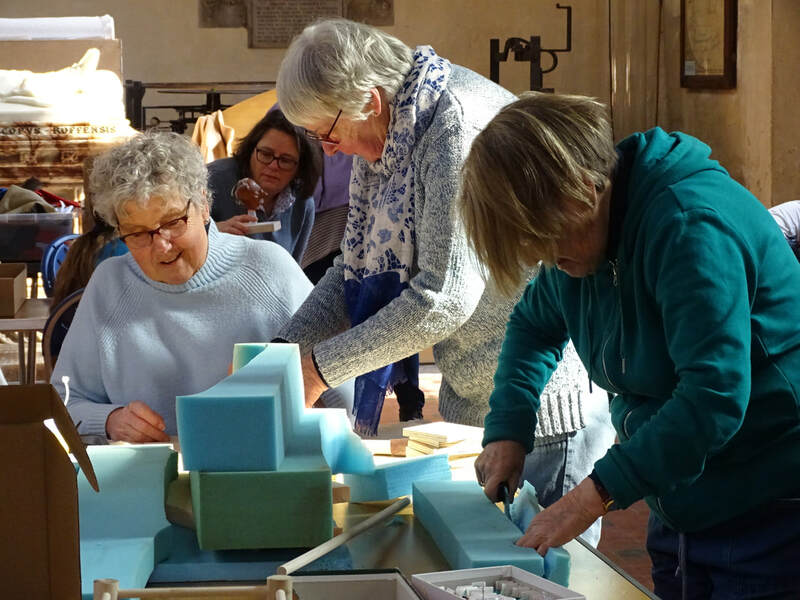 ​We are very sorry to say goodbye to Andrew Blankfield, our outgoing Chair of Trustees, this month as he steps down after four years as a YPPT Trustee. 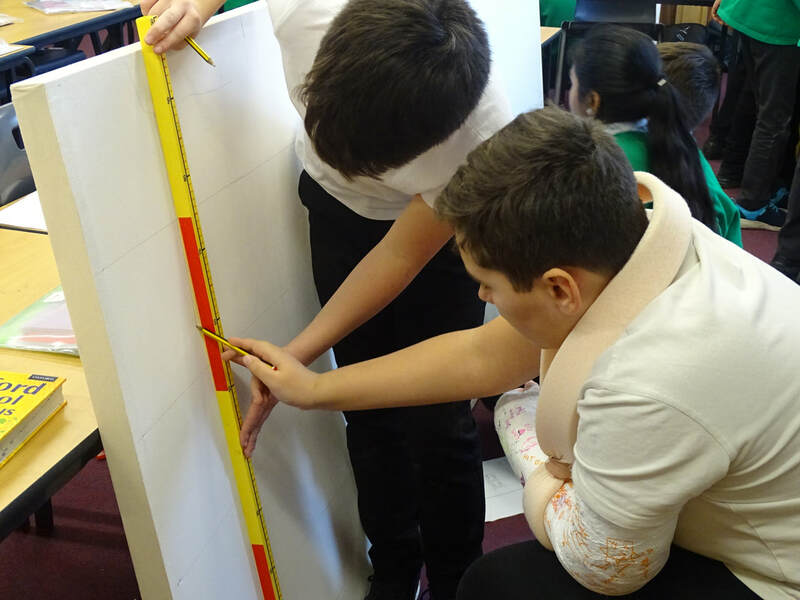 Andrew has been incredibly influential in the YPPT's early years, as he was our first Chair and oversaw the formation of the charity as well as our registration with the Charity Commission, our pilot projects and our expansion to where we are now. 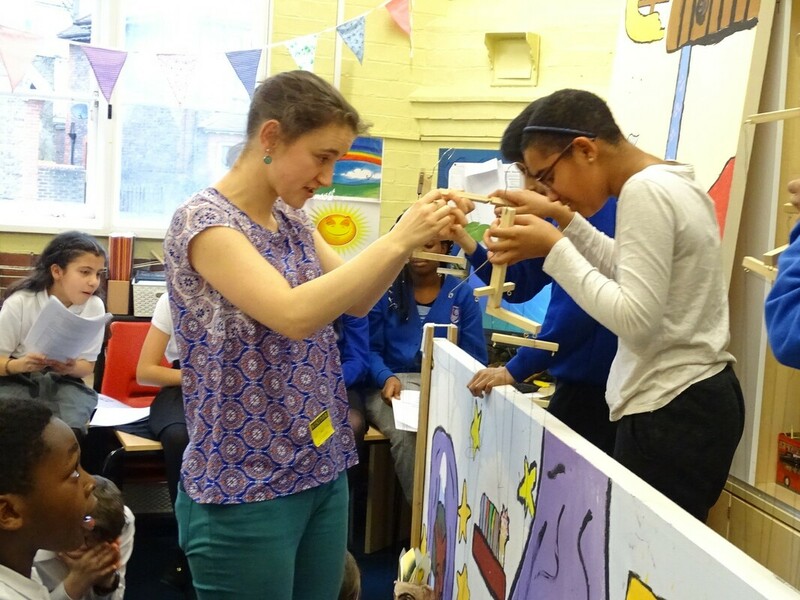 We are very grateful indeed for all his hard work supporting the YPPT and wish him all the best for the future! 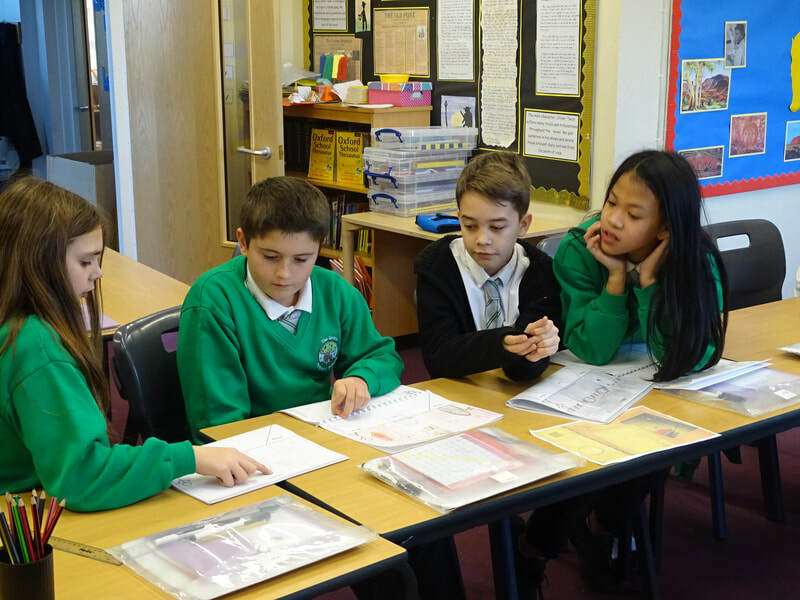 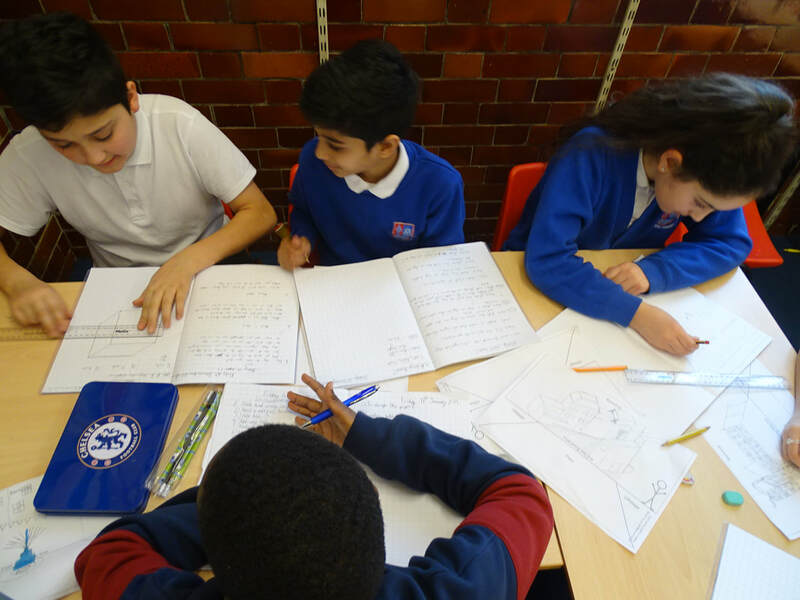 Most of our Year Six school projects are taking a break for SATs preparation at the moment, but at Central Primary we're still going! 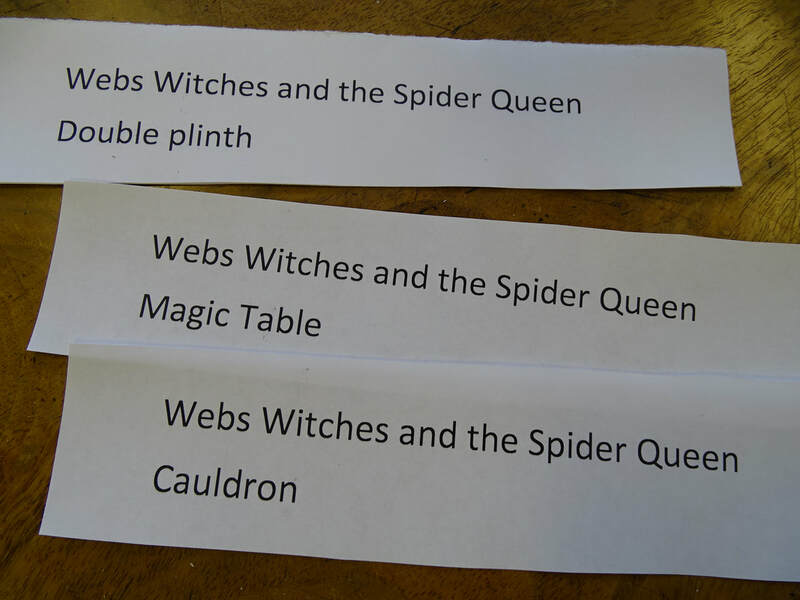 We've started rehearsals for the two classes' shows of Rumplestltzkin and Webs, Witches and the Spider Queen, ​preparing for their shows in May. 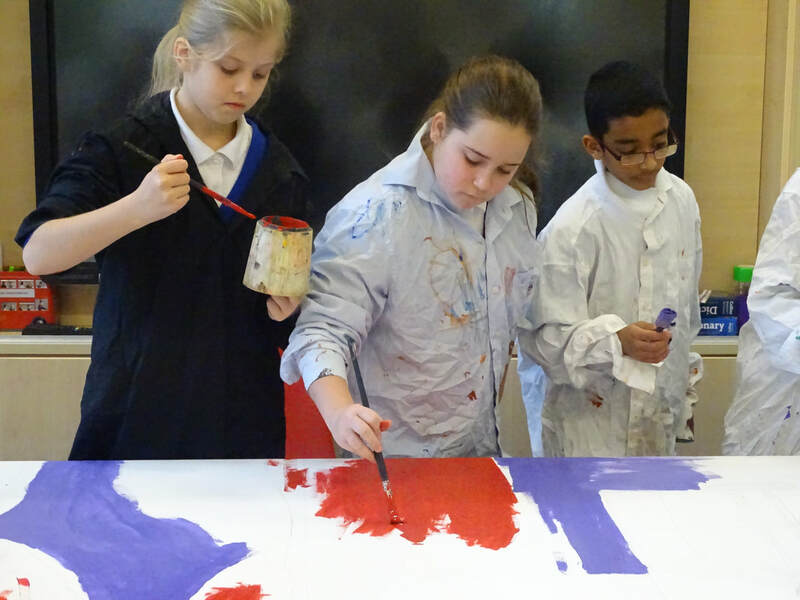 We hope you're all having a lovely half term! 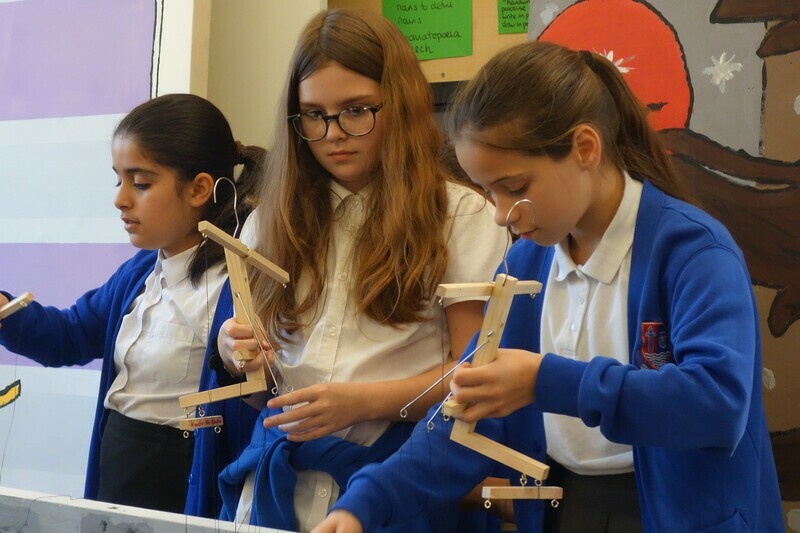 We're already looking ahead to projects starting in September 2019 - if you know a school that would like a unique large-scale creative project that boosts children's confidence, resilience and motivation (among many other things), then get in touch! 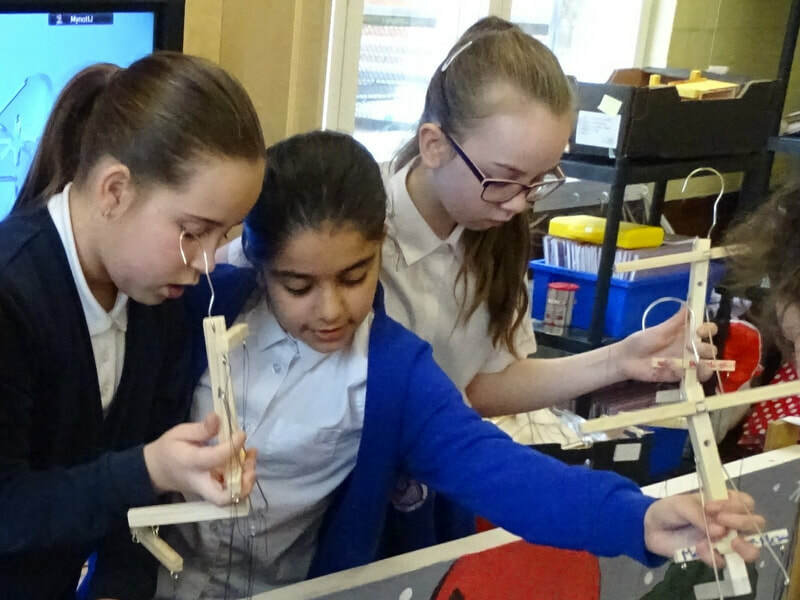 You can email admin@yppt.org.uk for more information, especially if your school is interested but would need help with the funding - we may be able to work with them to raise the funds, but please ask them to contact us as soon as possible! 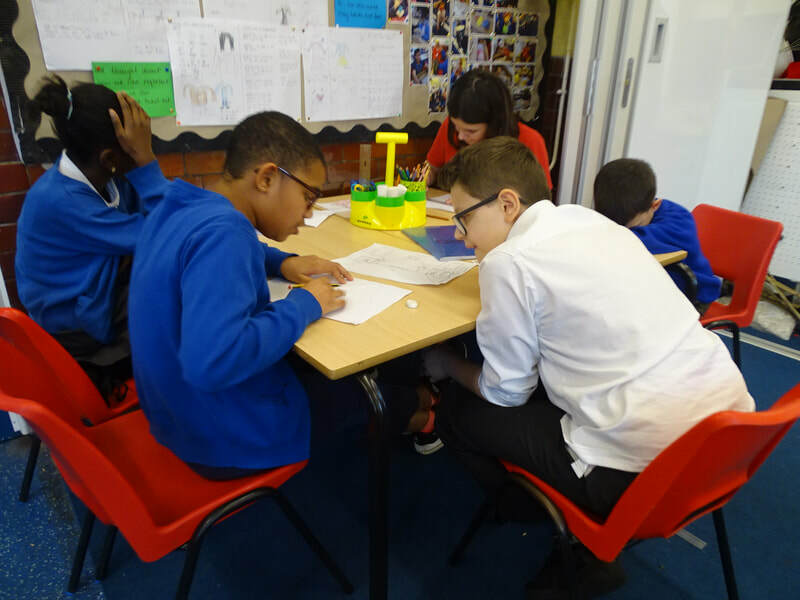 We can work with ages 9 and up and are happy to hear from all sort of schools - primary, secondary, sixth form, all sorts! 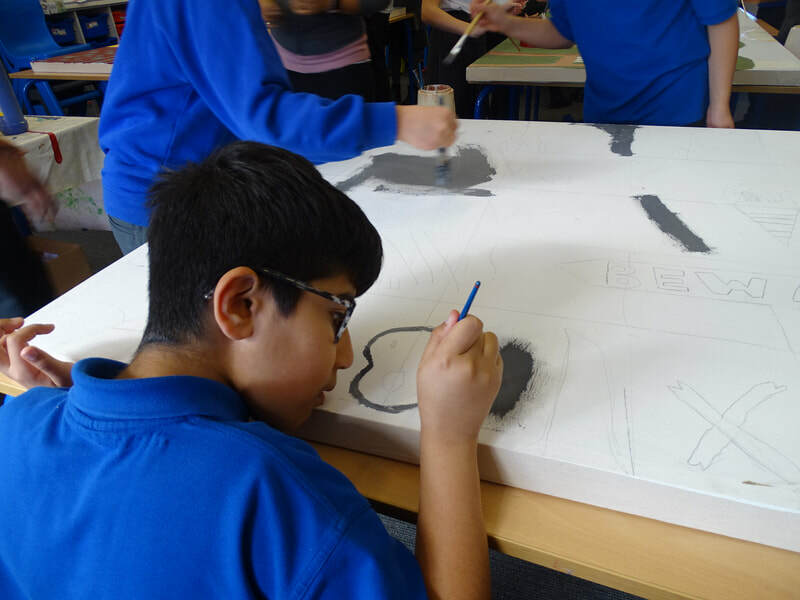 Do help us spread the word and get as many children and young people involved in these transformational projects as we can! 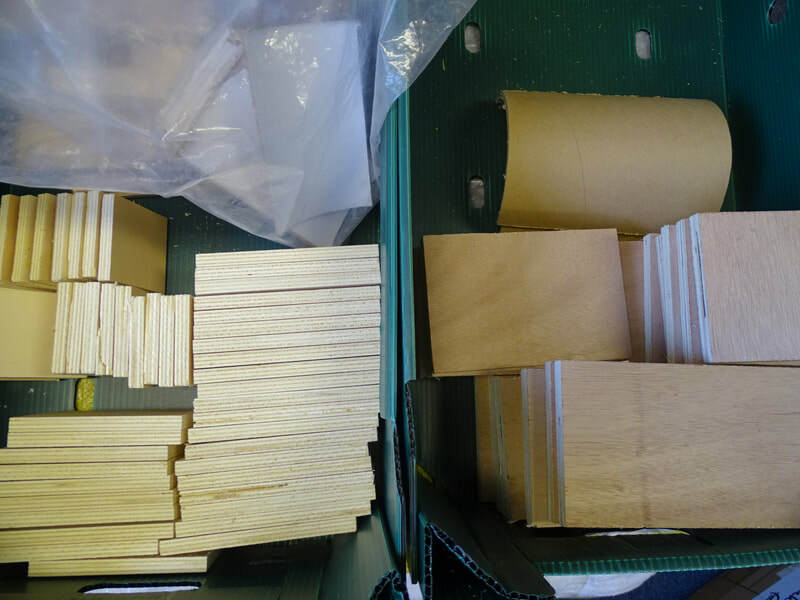 A new project for the YPPT! 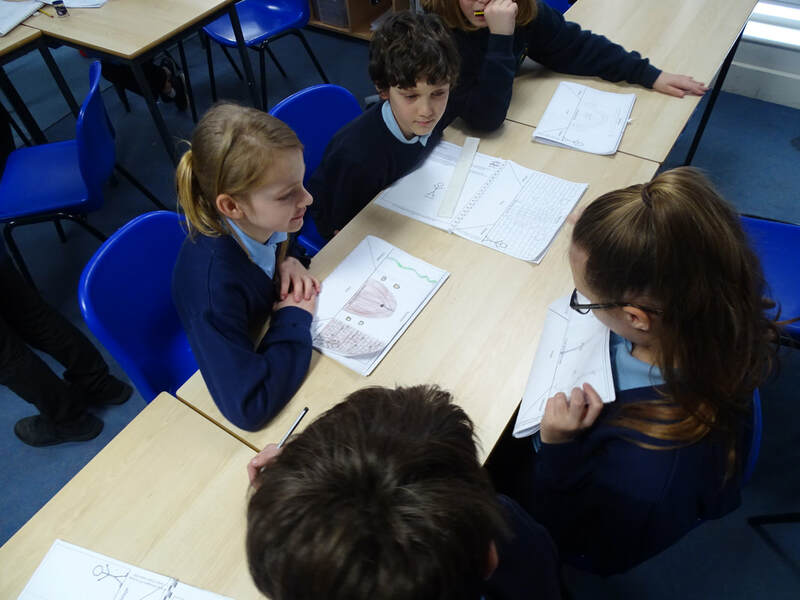 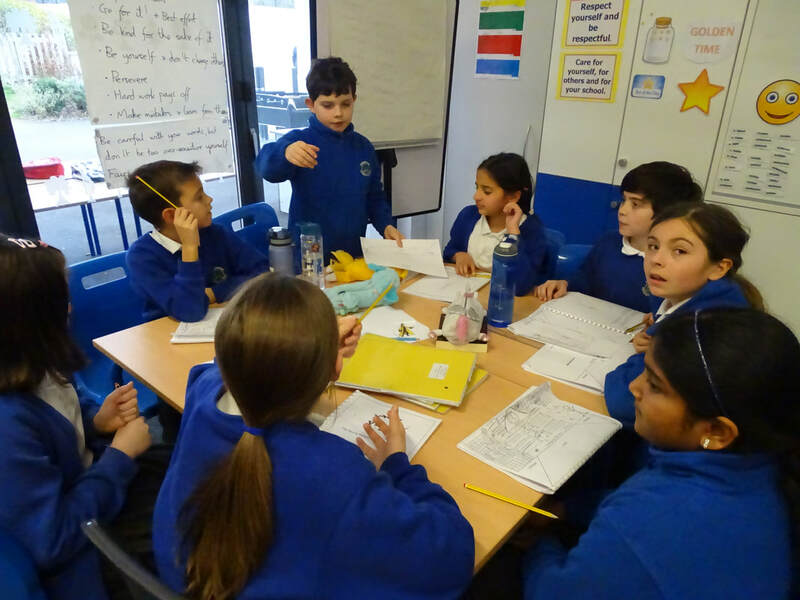 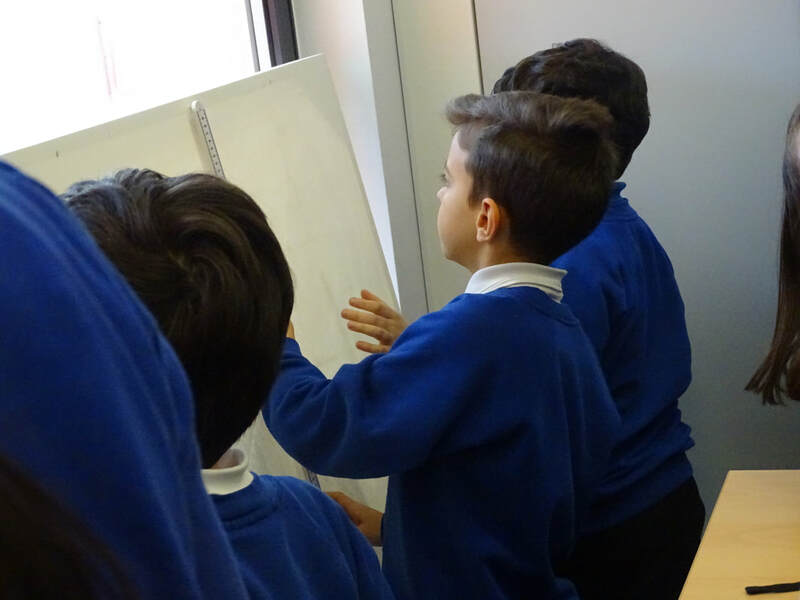 We are very excited to announce that we have now started our first ever inter-generational projects - two projects run as collaborations between Year Six children at Alban City School in St Albans, and a group of older people from the local community! 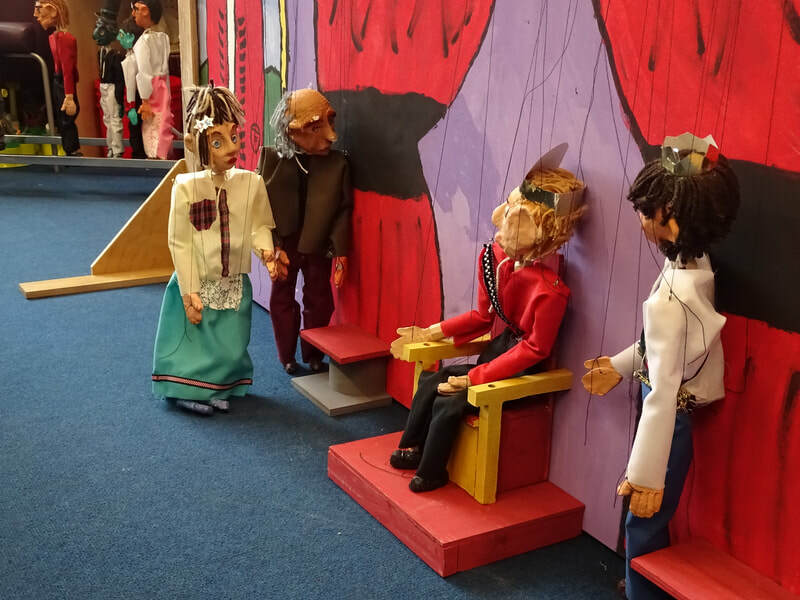 The children read through the two shows before Christmas, and designed puppets which are now being made by the older people at weekly sessions held at St Albans Abbey. 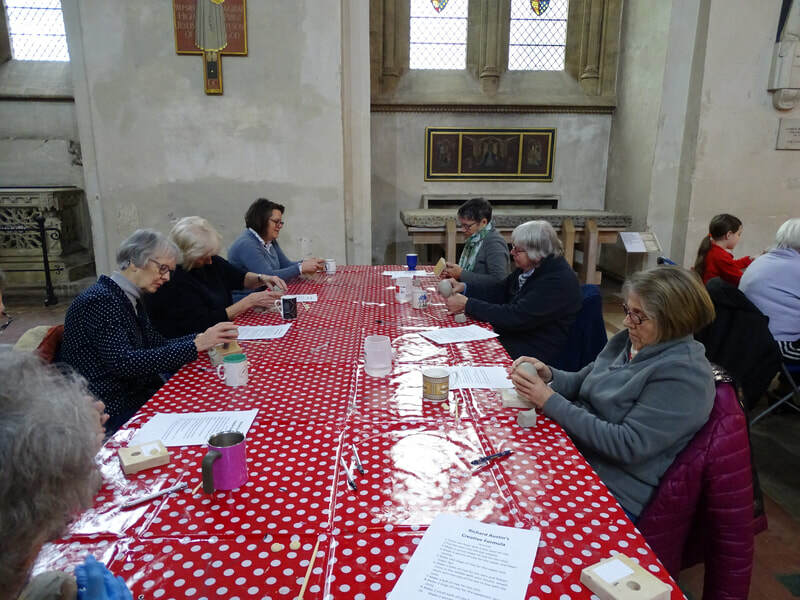 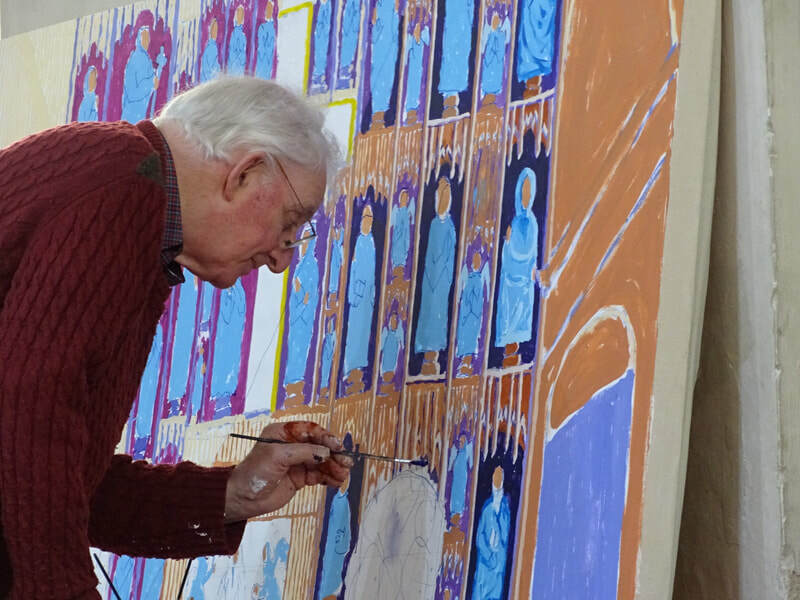 We are very grateful for the support of this project by multiple organisations, including St Albans Abbey, the Hertfordshire Community Foundation, London Luton Airport and the Bedfordshire and Luton Community Foundation. 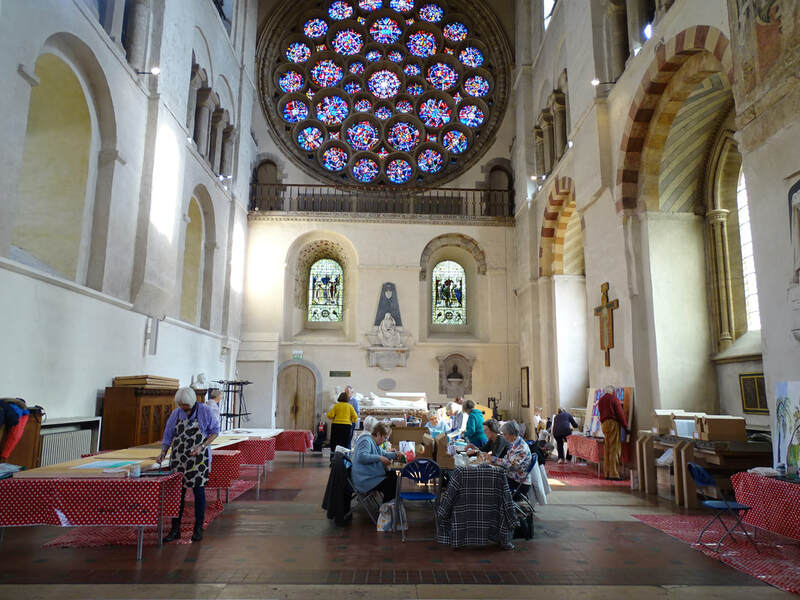 The shows are both based around stories about St Albans and the Abbey, and will be performed in the Abbey in June - more details to follow soon! 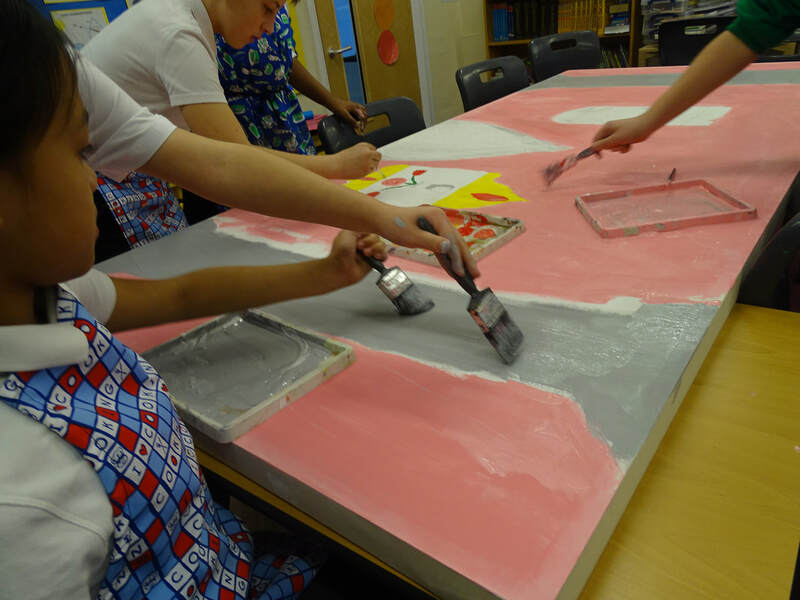 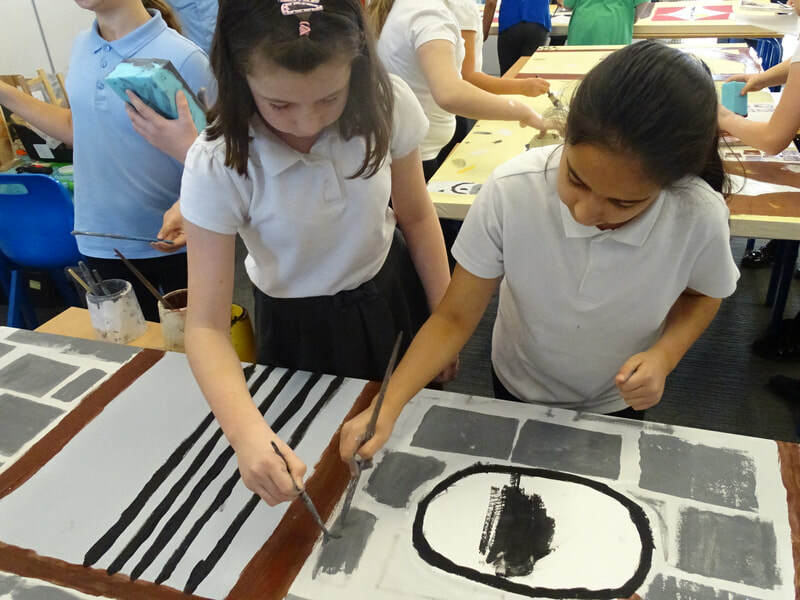 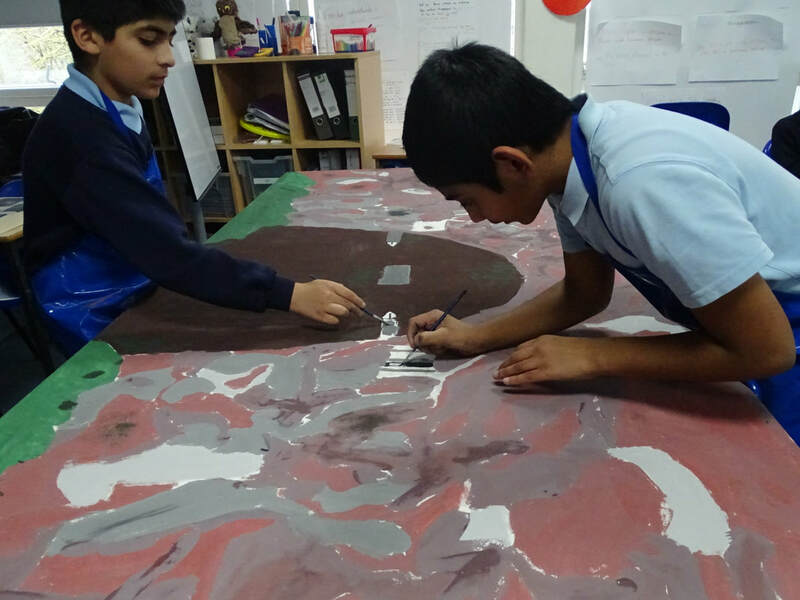 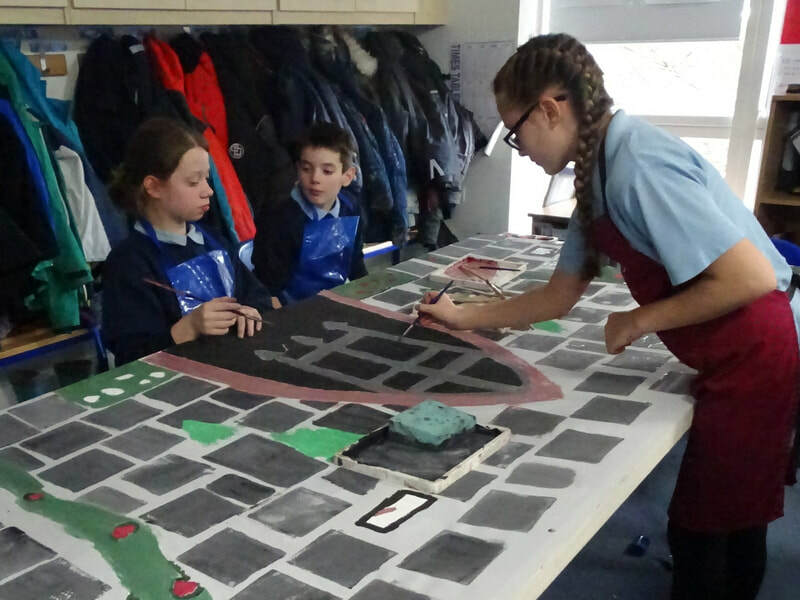 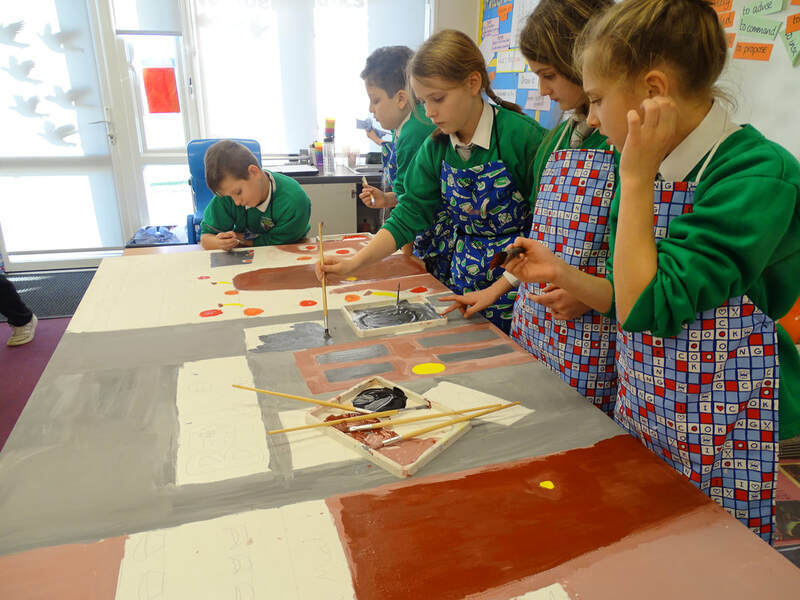 Our Year Six classes are painting their designs onto their canvases - lots of discussion within the teams as the children work together to bring their designs to life! 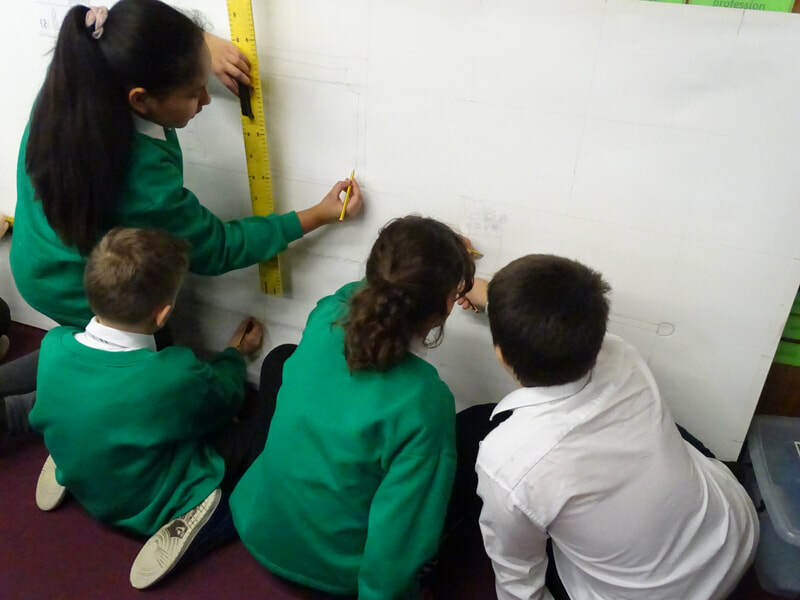 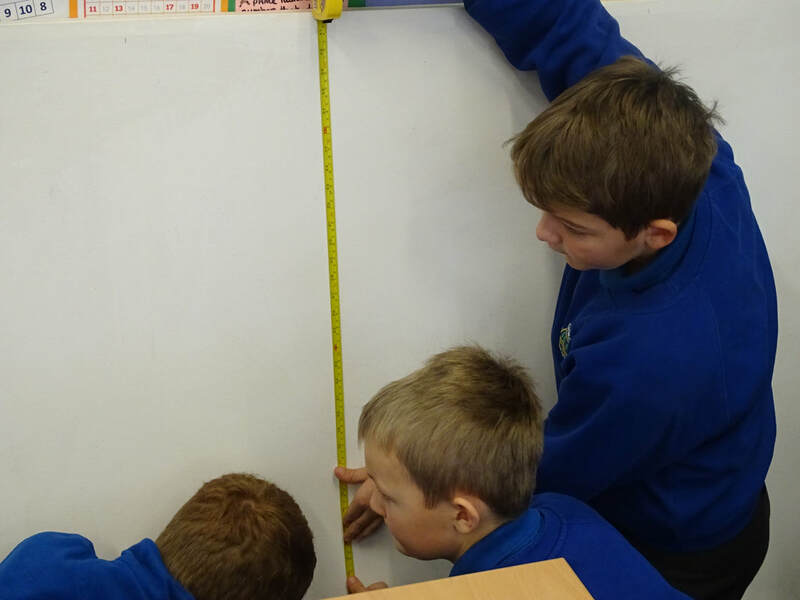 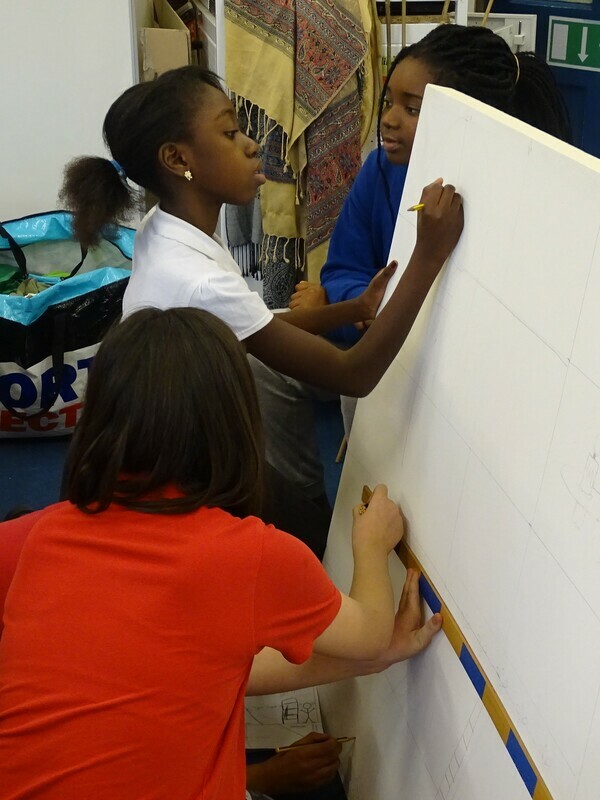 Last week our children used rulers, tape measures and times tables to scale up their set designs onto the large canvases. 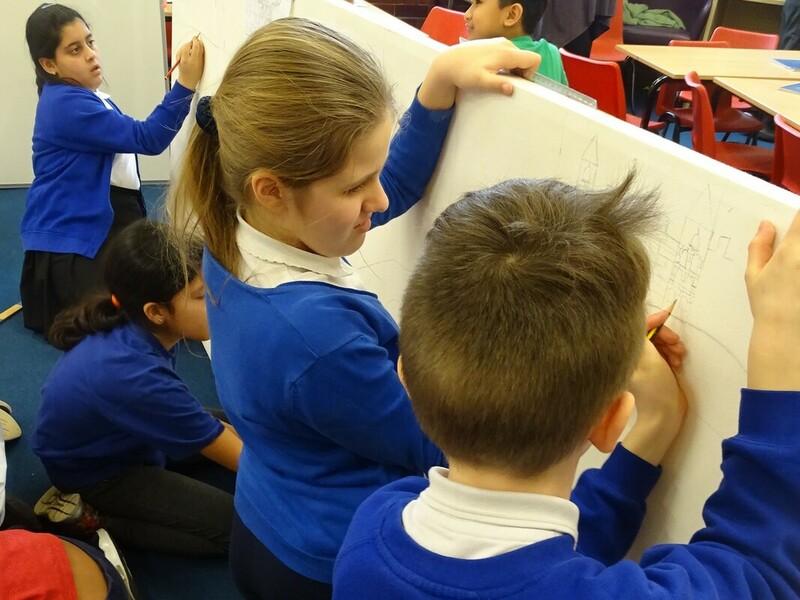 Lots of great teamwork on display as well as some impressive maths! 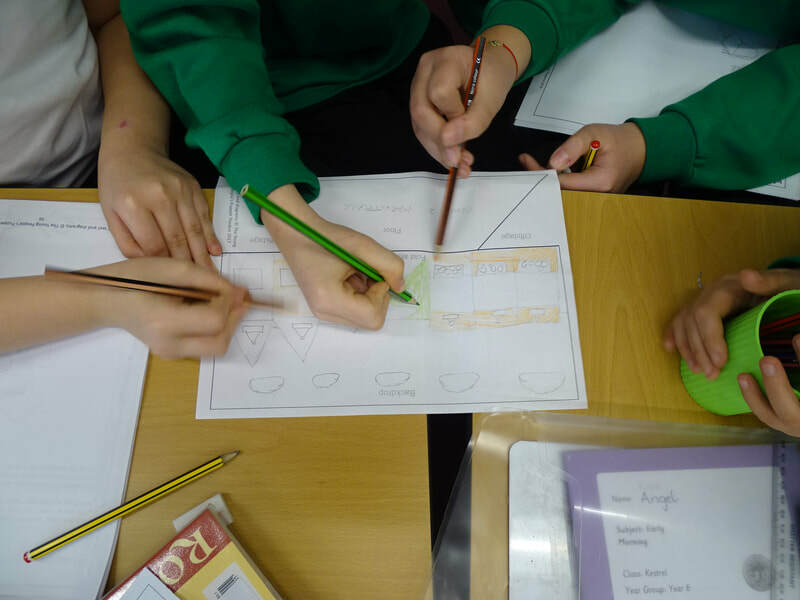 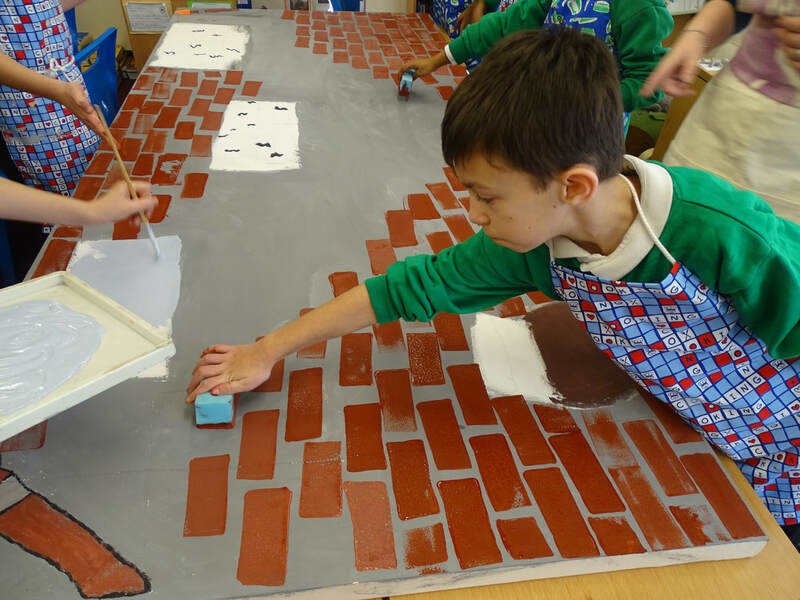 We've been really impressed with the teamwork in our schools this week as the children worked together to design the sets for their shows! 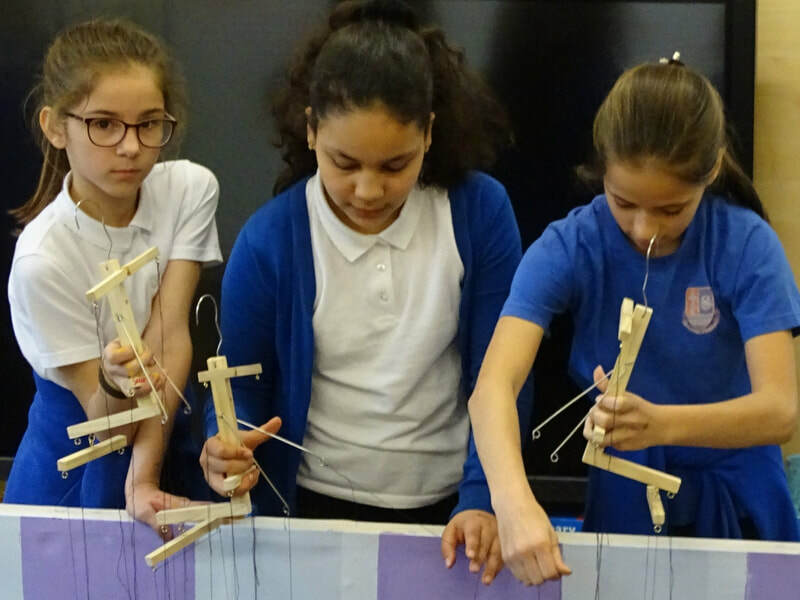 Happy New Year from the YPPT! 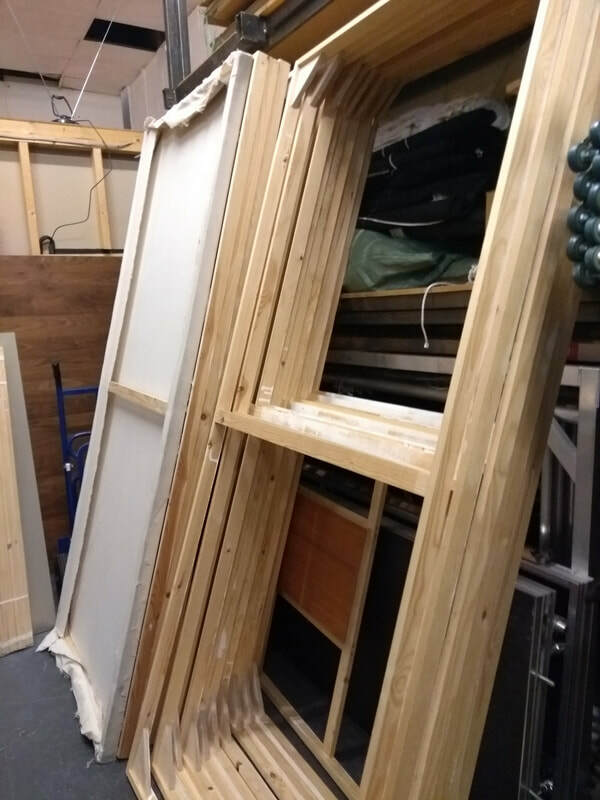 We've been busy over the Christmas holidays putting together props kits and backdrop canvases for our projects starting work on their set designs this term, and also preparing for three new exciting projects starting this month - watch this space for more details!